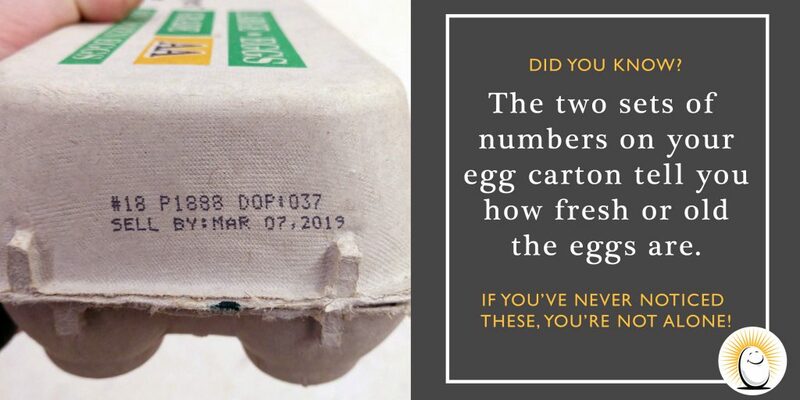 Have you ever looked at your egg carton and noticed a date and then a sequence of numbers? Do you know what these mean? If not, you’re not alone. There are two sets of numbers on an egg carton: a sell-by date and a Julian date. Let’s learn about these numbers and why you should pay attention to them. Let’s start with the sell-by date. This date ensures eggs are not kept on grocery shelves past a certain date. But, that doesn’t mean the eggs are bad! As long are they are refrigerated at 45 °F or lower, eggs can be eaten 2- 3 weeks beyond the sell-by date. 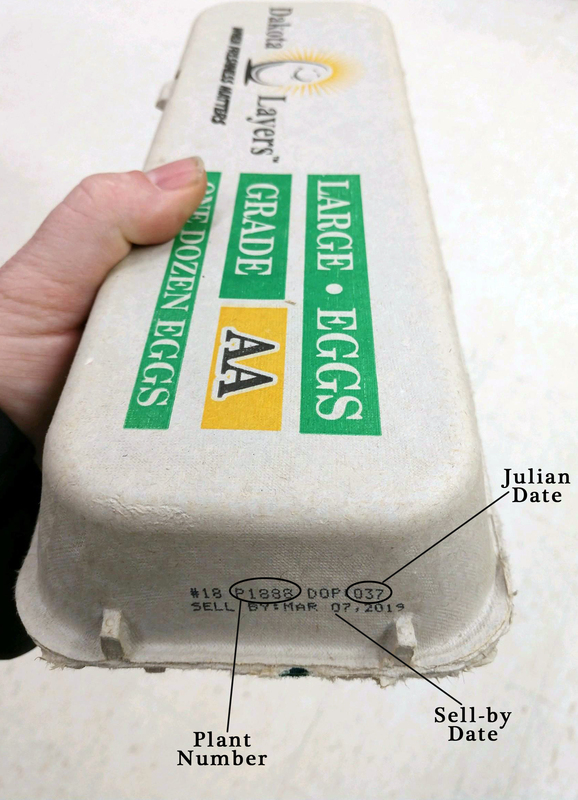 Now let’s move onto the Julian date, which is a three-digit code that indicates when the eggs were packed. Starting with January 1 as 001 and ending with December 31 as 365, these numbers represent the consecutive days of the year. If stored properly, eggs can be consumed 4-5 weeks past this date. Check out our Dakota Layers carton – the P1888 is our Plant Number. The date these were packed (037) stands for the 37th day of the year, which would be February 7th. The sell-by-date for these eggs is March 7, 2019, which is 30 days past the Julian Date. Have any questions about decoding your carton? Feel free to contact us!